Createspace Independent Publishing Platform, 9781475051360, 148pp. When his parents send him to remote Mobray Island for a summer with his curmudgeonly grandfather, bookish Kell thinks his time is going to be a boring bust. 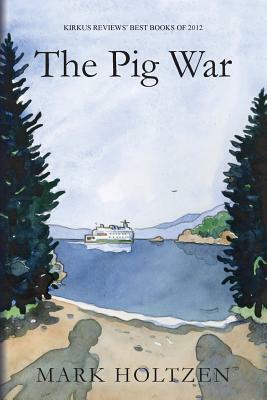 But he and his boisterous sister Grace are quickly drawn into events from the island's past-The Pig War of 1859. What was The Pig War? Did pigs actually fight? What if Kell and Grace are caught with the buried revolver they've uncovered? And why does their grandfather go fishing without his fishing gear? By summer's end Kell learns that Mobray Island holds more adventure than he bargained for: shady ancestors, shadier neighbors, and even some discoveries about himself. Mark Holtzen grew up in the Pacific Northwest. At thirteen he took a bike trip to the San Juan Islands and has loved visiting ever since. He lives and teaches in Seattle.